So, we’ve been keeping busy and we’ve realized we haven’t given our users a heads up on the new features yet. We have added a lot since our last feature update, but we think the following 3 features stand out the most. 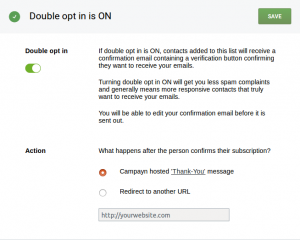 The hands-down best way to have a clean list is to enable Double Opt-in. But it is also a very agressive way of handling this. Due to the nature of email, turning Double Opt-in (or “DOI” for short) on for an existing list is an easy way to reduce your legitimate subscriber count to a fraction of the original. That’s why we won’t force you to use DOI on your list, even though we do recommend it heavily. Also, if your list seems to performing very poorly, we might urge you to re-add the list with DOI enabled, for the benefit of you and your subscribers. 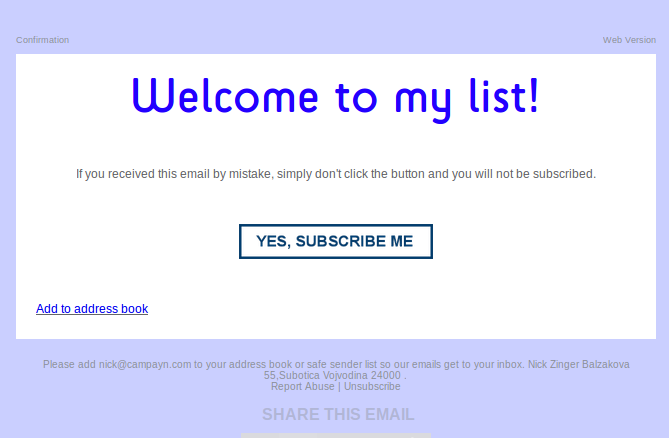 Use our user-friendly tools to customize your opt-in email. Ideally you will be using DOI at the time of sign up, to prevent fake sign ups. This will save you a lot of headaches down the road, and is very much a legal requirement in some countries(like Germany). 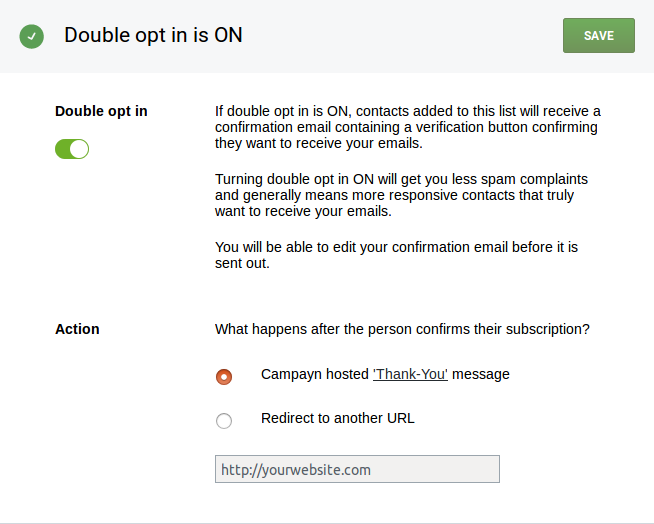 As a bonus you get an “Add to address book” link in the Opt in email, to let your contacts add you to their contact list more easily, helping with deliverability as well. Are you tired of your forms being ignored? Well we have a suggestion for you. 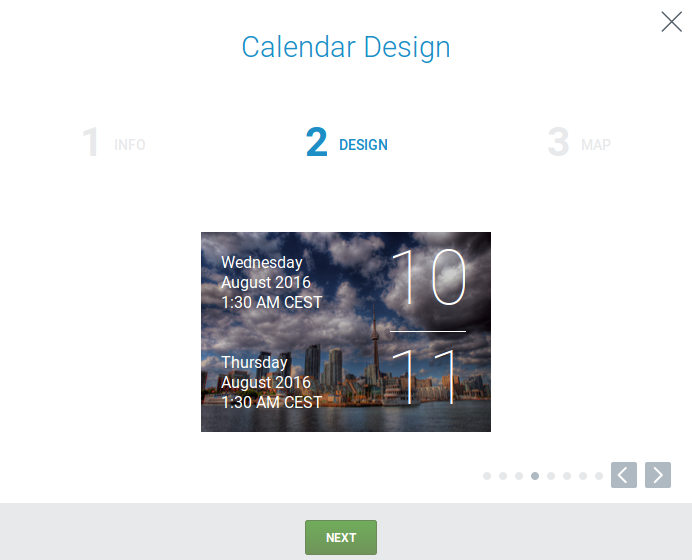 Lightbox forms are a lightweight, simple-to-add type of form for your website or blog. It can popup after a set number of pages have been visited, a percentage of your page has been scrolled through, or a set amount of time has passed. 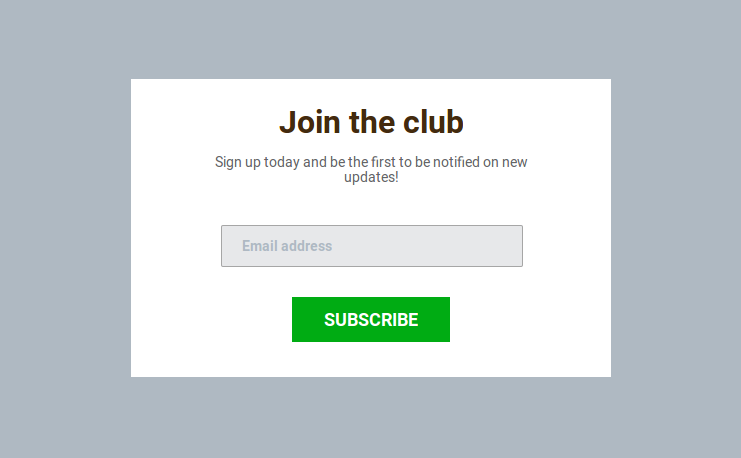 Once up it will ask the user to sign up with your preferred wording. 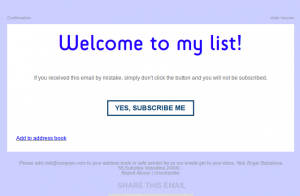 Although most tech-savy users find this type of form annoying, it is also the best-converting way to capture sign ups on your pages. Also, it’s not that annoying if you set it to not show up again to the same user for a few weeks. 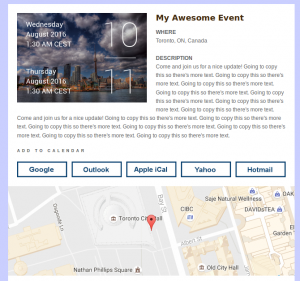 So, you’re planning a nice event and you want to let your subscribers know. 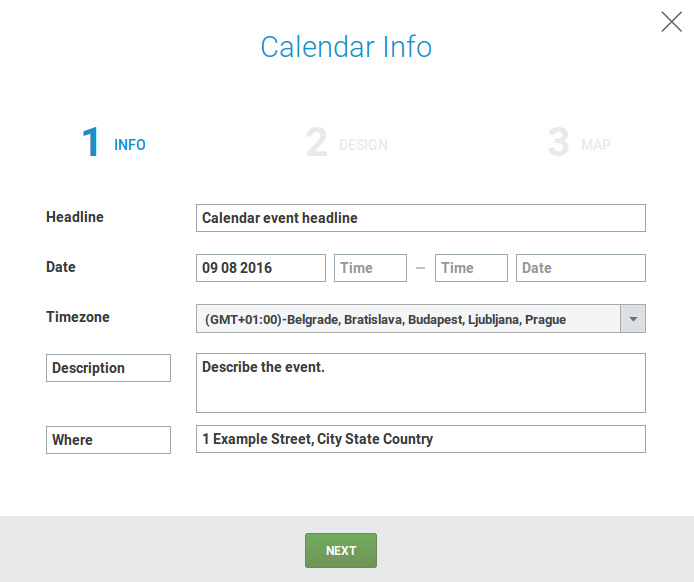 You also want to send them a link that they use to add the event to their preferred calendar with one click. Usually this would either take you unreasonably long or would require a 3rd party service that might even require extra payment, but with this latest addition to Campayn, you can do this as part of your regular mailings! 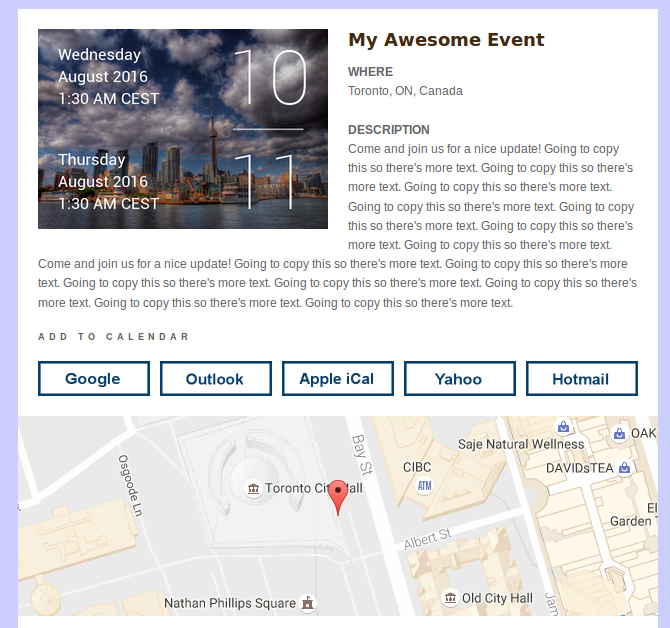 Just enter all the details that you want to have for the event, including a location, time and a description, and we will automatically create this block in your email, along with “Add to calendar” links for the most popular calendars. Get a suggested Calendar image, or add your own. As a bonus, we will give you a few templates for the event image itself. In case you don’t have an image handy we will automatically hand you the most relevant images for your location. Or you can use our image options to find a different Creative Commons image to use. There is always an option to just upload your own image as well. Pick from a selection of map color templates, or roll your own. 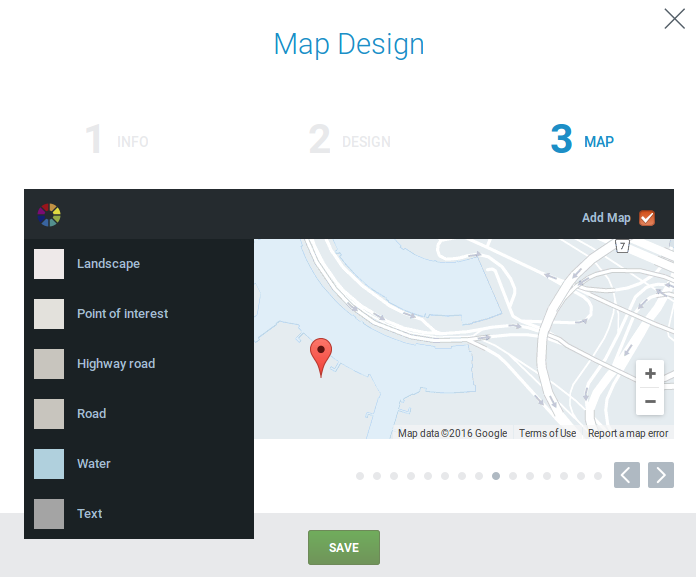 As if that wasn’t enough, we will also generate a Google Maps image of the location to help your subscribers visualize the exact place they need to go to. This is optional and customizable, so you can pick a color template that matches your brand. 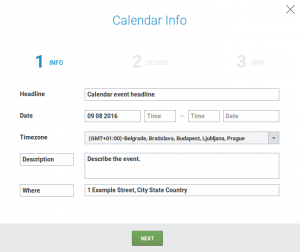 Add to Calendar links will increase your conversion rate on these events. Most email services will avoid giving you a block that has text wrap around an image for compatibility reasons, but we have found a way to make this work for our Calendar block! No need to force a single-column layout to get this looking nice on desktop or on mobile. Do you like the new features? Would you change anything about them? What would you like to see next? Let us know in the comments or through Support.